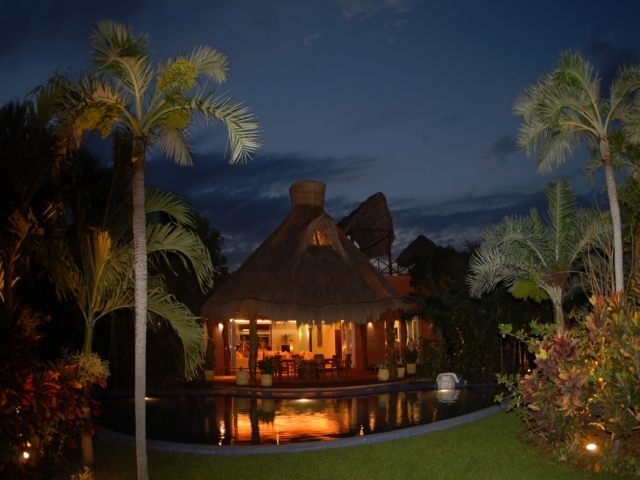 Tucked away on the beautiful and pristine Yal-ku Lagoon lies this recently completed, 6000 square foot, exclusive and very private villa, Laguna Encantada. 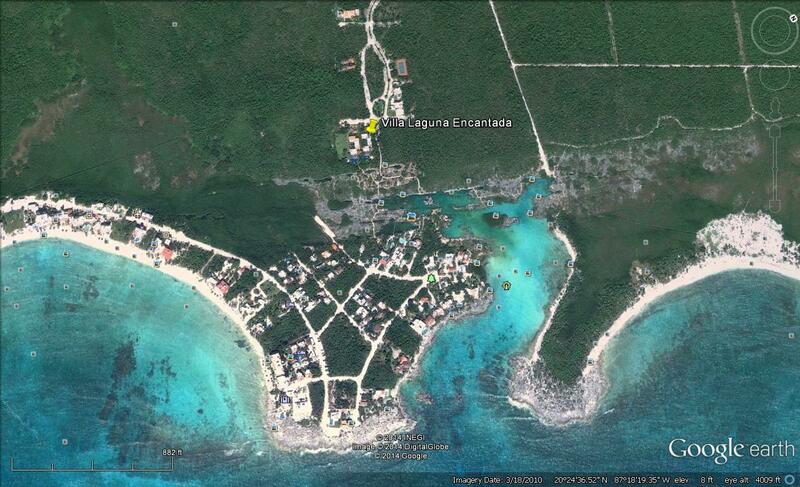 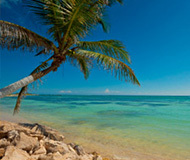 This location is the most exciting new area to be developed in and around Akumal. 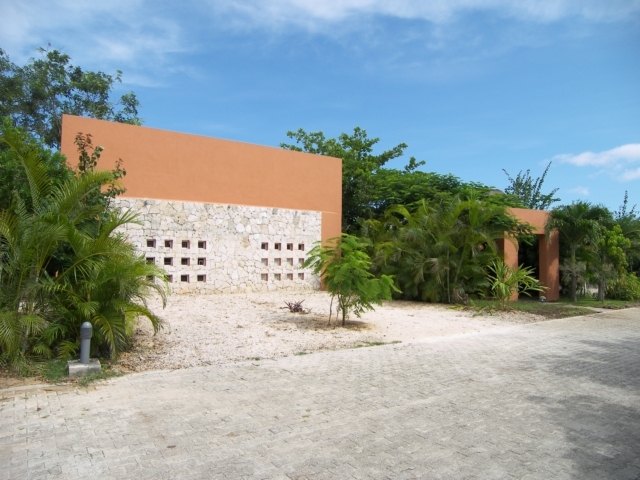 This secluded, residential neighborhood is only one mile north of Akumal. 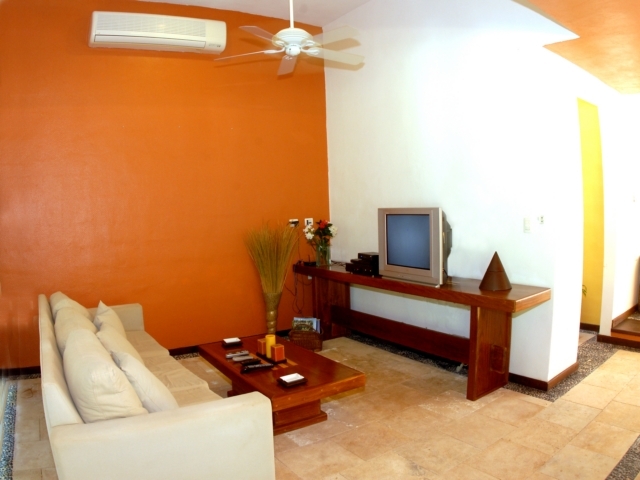 Therefore the convenience of everything that Akumal has to offer is still at your fingertips! 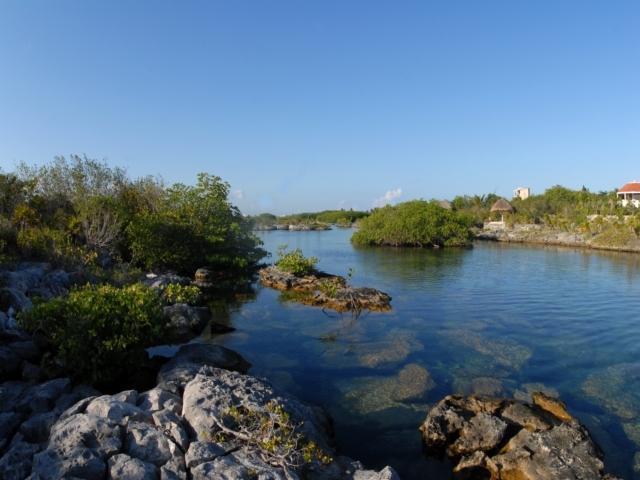 Laguna Encantad is 5 mins from Akumal, 20 mins to Tulum, 15 minutes from Puerto Aventuras and 30 mins to Playa del Carmen, by car! 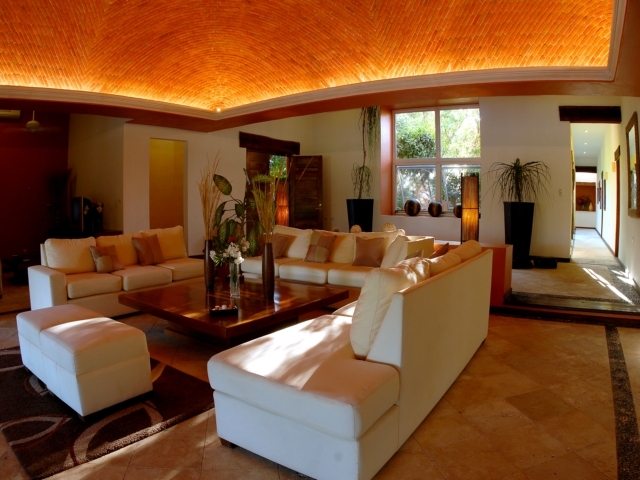 This Contemporary Mexican Hacienda style villa combines natural stone, marble and wood materials, as well as colorful splashes of tropical artwork, with the neutral white, soft beige and deep brown tones of the decor to enhance the openness and relaxing ambiance. 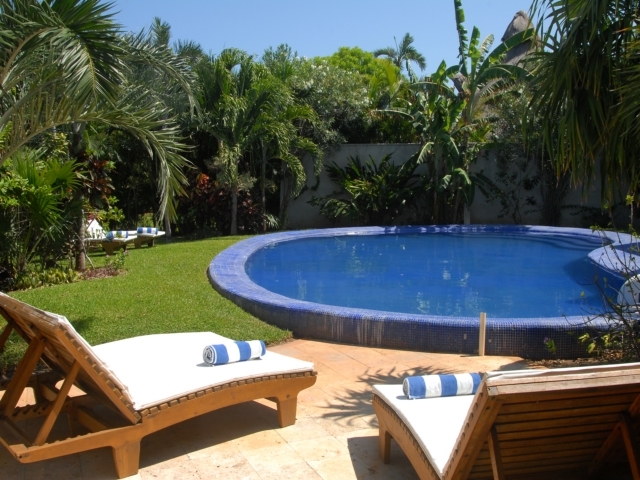 This spectacular 4 bedroom, 4 ½ bath lagoon-front villa is nothing less than breathtaking. 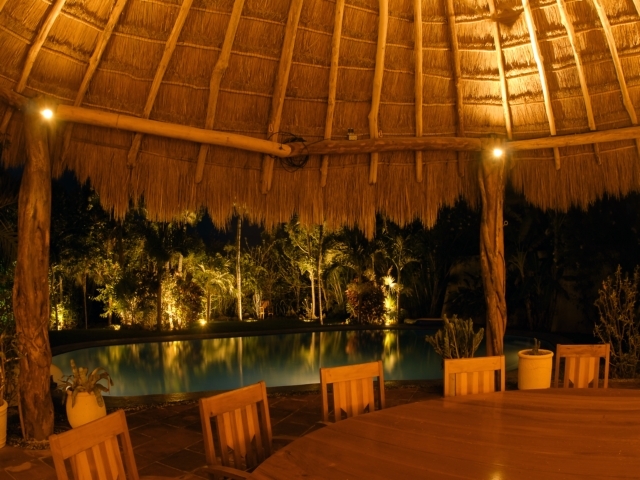 Inside, Villa Laguna Encantada is as unusual as the completely natural, quiet and serene setting of the jungle which surrounds the villa. 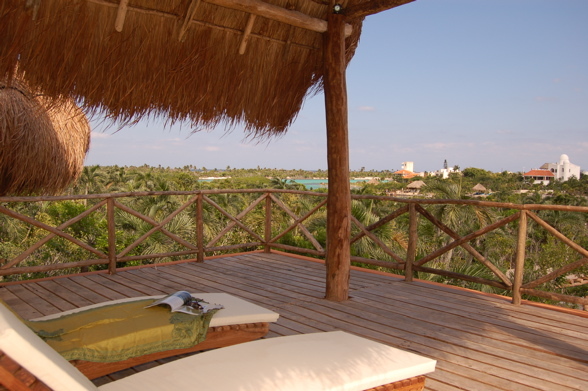 Villa Laguna Encantada has a rooftop observation deck with a pergola. 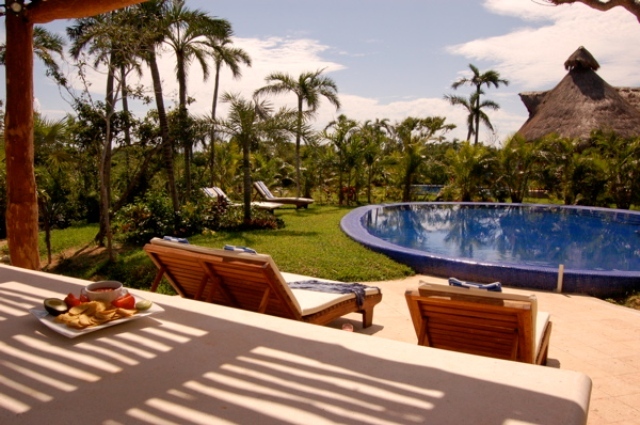 The front entrance of the villa leads you to the expansive living area which spills out onto the large, poolside back patio with outdoor seating for 12 guests and a flat screen TV to watch all your favorite movies or sporting events. 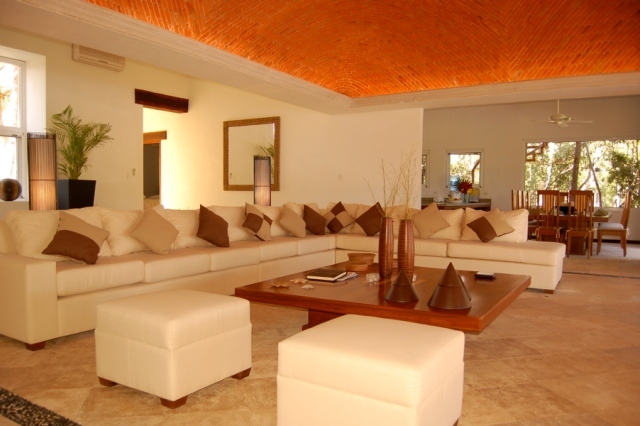 These areas are perfect spaces for entertaining, yet there is also a pleasant sitting area off to the side with a TV and stereo which is ideal for the kids. 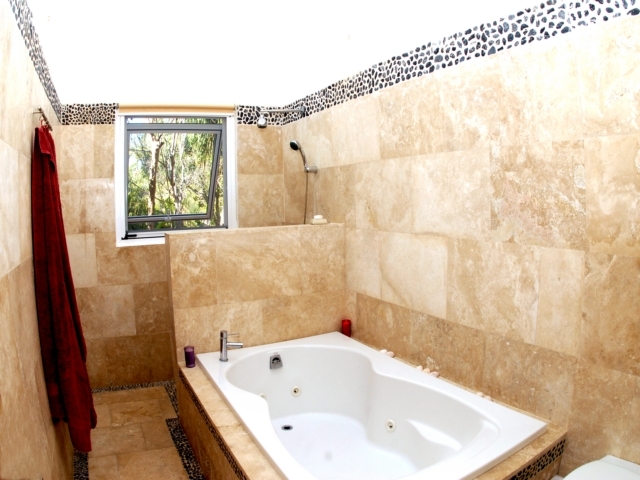 Adjacent to this area is an attractive half bath/powder room. 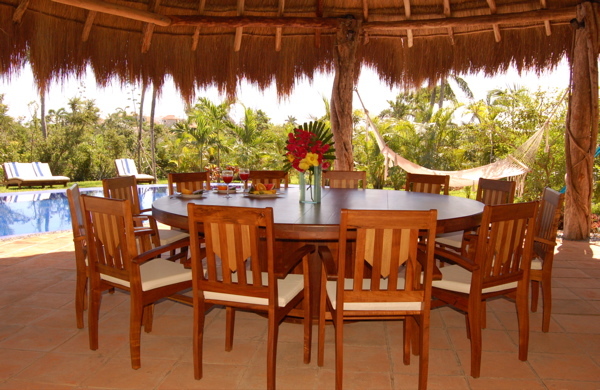 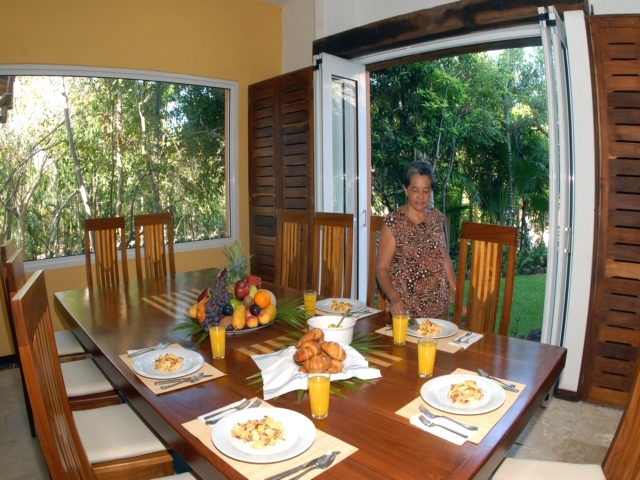 On the other side of the spacious living area is the delightful dining room complete with a table seating for 12 as well as a roomy, fully equipped kitchen with state-of-the-art appliances. 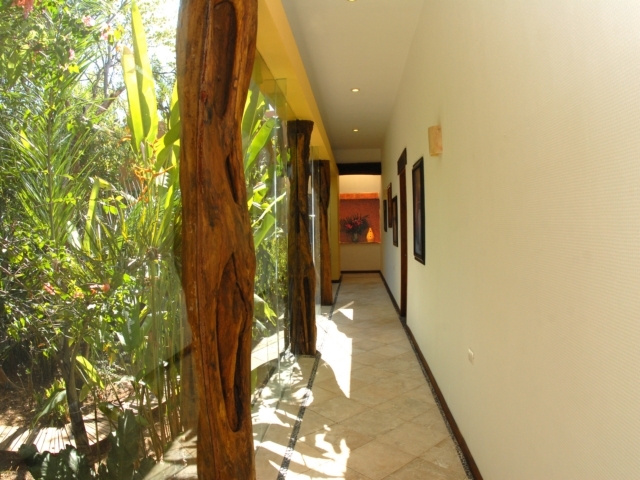 An exquisite, air conditioned glass hallway brings to life the beautifully landscaped grounds while leading you to all 4 bedrooms. 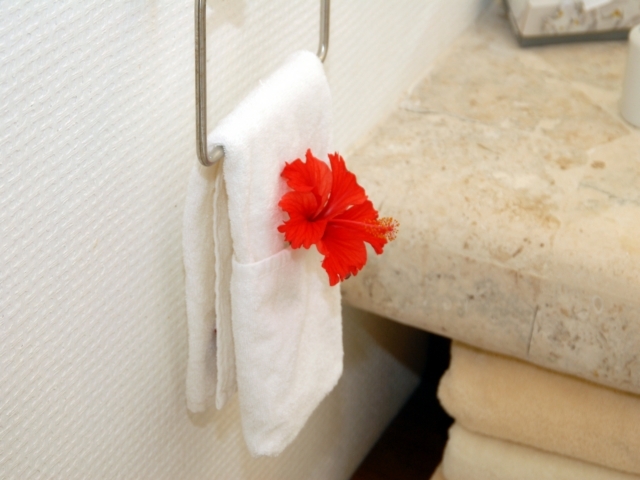 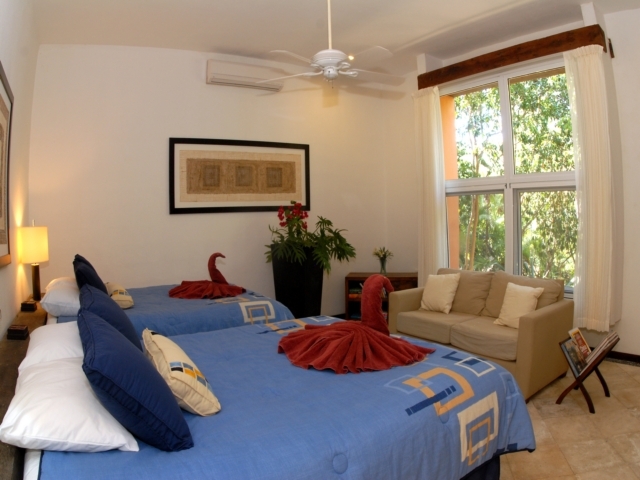 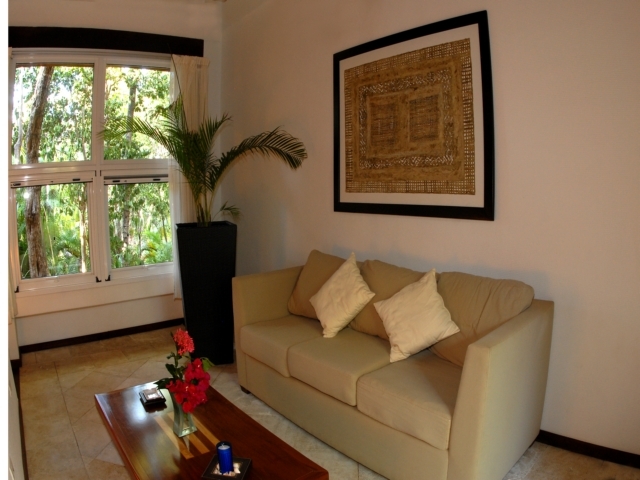 Each bedroom is fully air-conditioned with least one air conditioner and its own exceptionally luxurious bathroom. 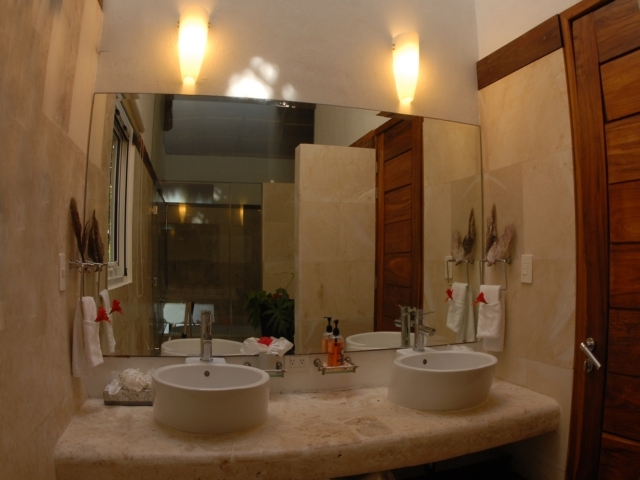 Two of the four bathrooms have an indoor as well as a uniquely designed outdoor shower! 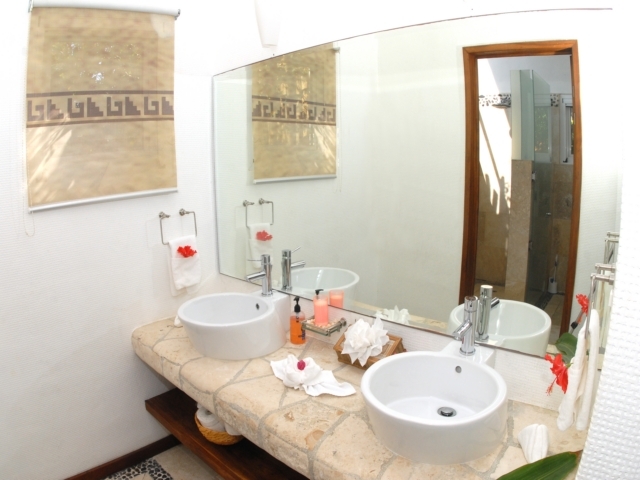 All bathrooms are air conditioned and boast gorgeous opaque and glass doors and walls which are tastefully designed for privacy. 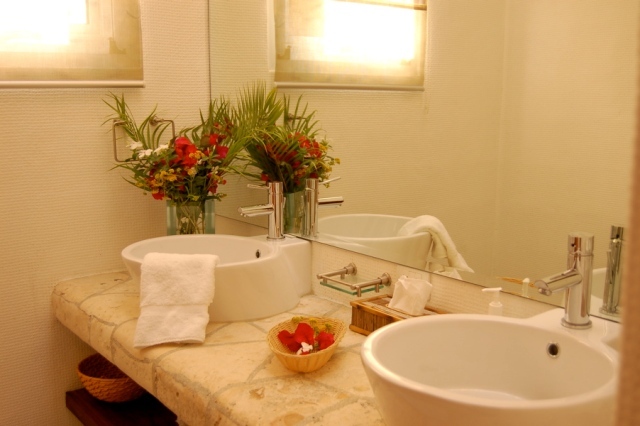 They all have magnificent fixtures from Germany, ornately raised basins as sinks and attractive counter tops which are all made of stone from the local area. 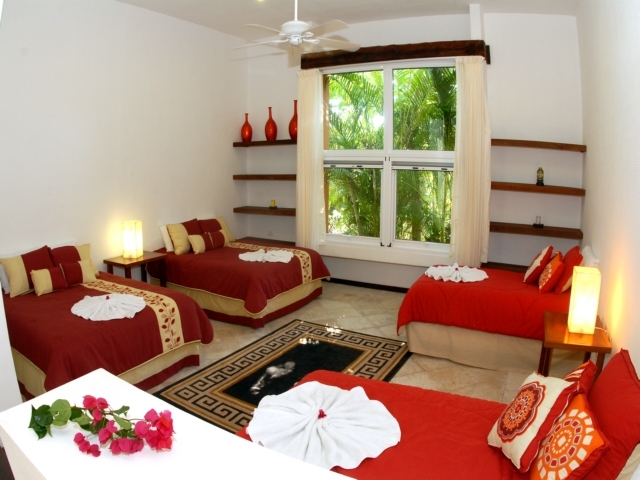 The first bedroom has 2 queen beds and a reading couch along with a bathroom that has an indoor shower and ample-size indoor tub. 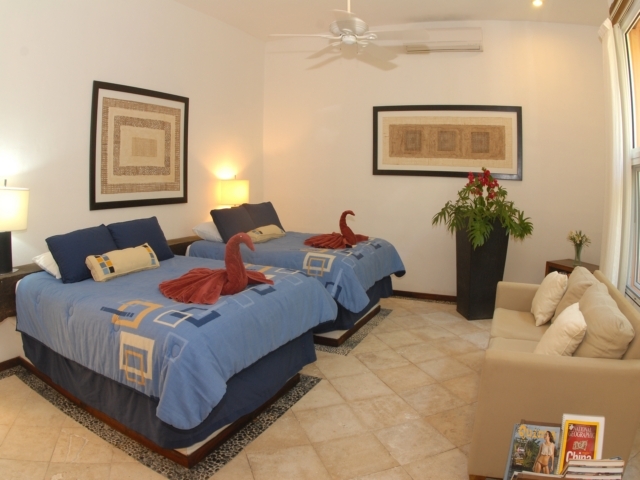 The second bedroom has a king sized bed, as well as a reading couch and a bathroom which boasts an indoor shower and shower tub. 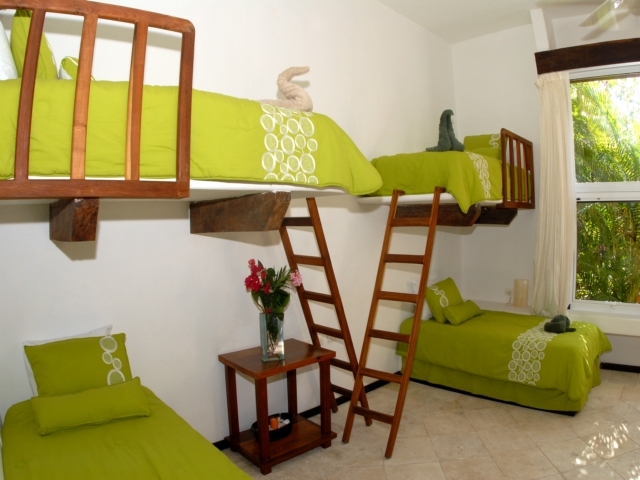 The third bedroom is clearly perfect for the kids with 6 single beds and 2 queen beds, four of which are loft-like with ladders. 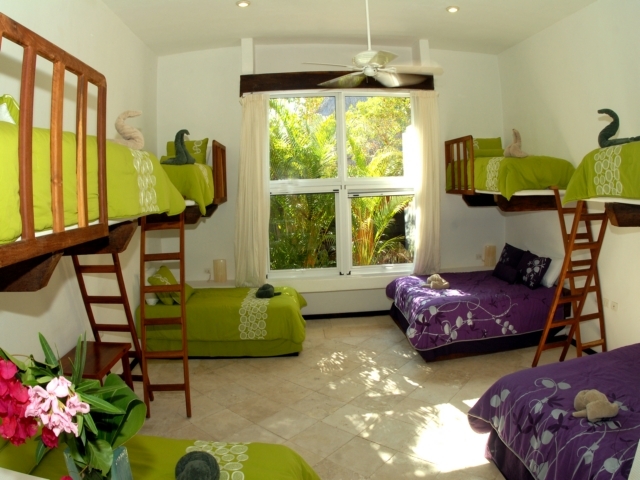 This bedroom has an attached bathroom with an indoor and outdoor stand up shower. 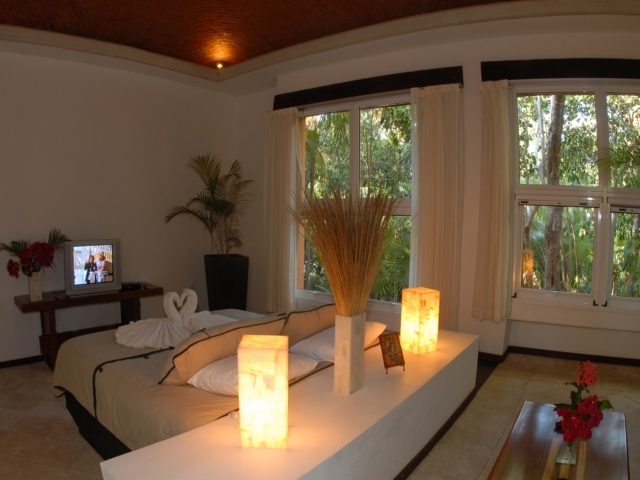 The fourth bedroom offers 2 queen beds as well as its own bathroom with an indoor stand up shower and an outdoor shower tub. 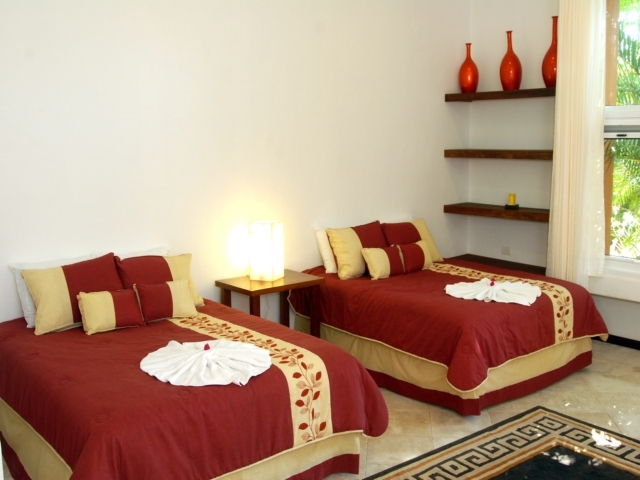 All bedrooms include an endless amount of closet space with all shelves and doors made of our native tsalam wood. 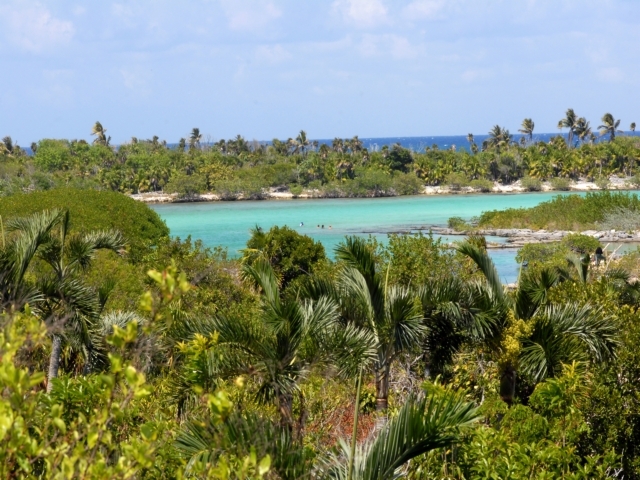 Now for the best part about Villa Laguna Encantada: the pristine serenity that only the jungle of Yal-ku Lagoon can provide. 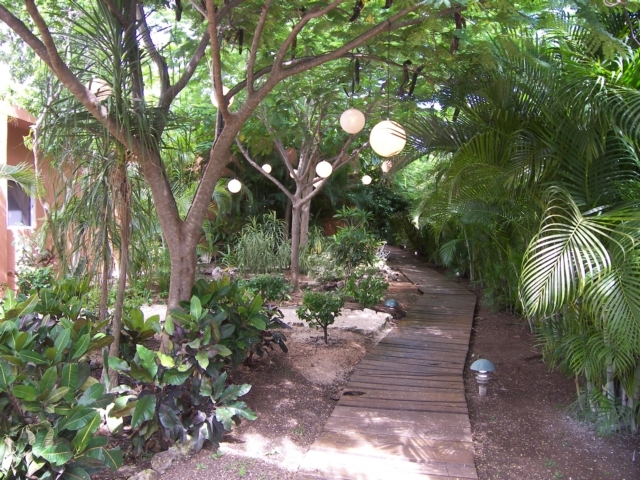 Directly across from the 11' x 30' backyard swimming pool, with a very nice stainless steel gas grill, is your own private boardwalk leading to the lagoon, amongst a surrounding of gorgeous and completely natural cenotes, through a private park area all belonging to the villa! 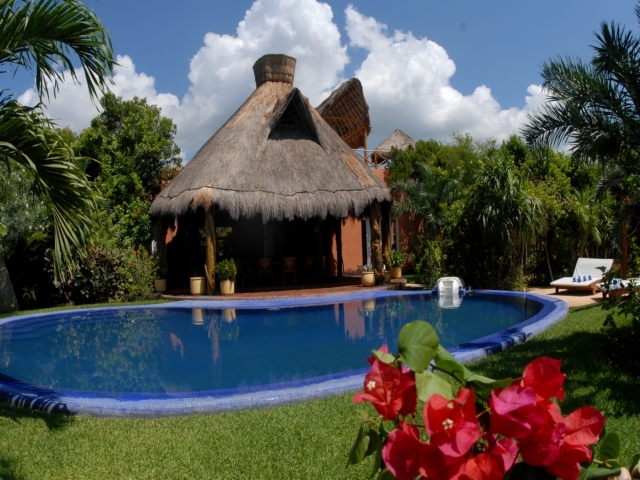 The wildness of Villa Laguna Encantada coupled with the most incredible staff you’ll ever have the pleasure of serving you is absolutely unbeatable. 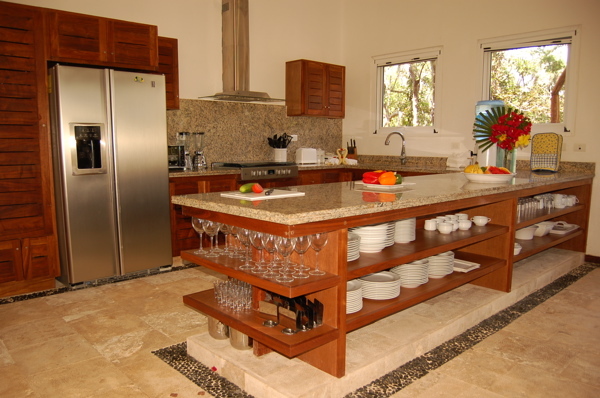 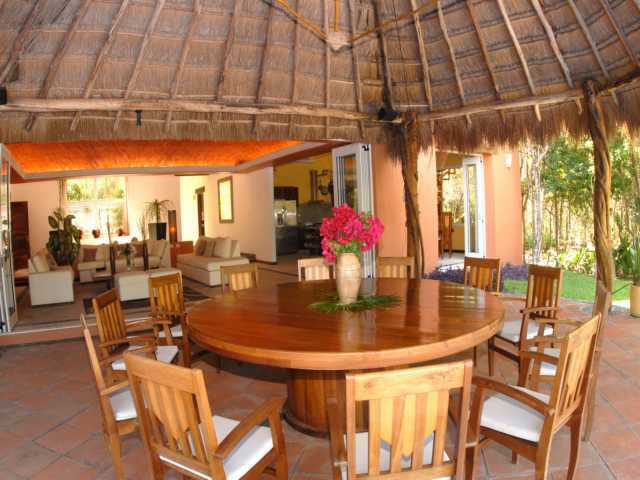 This Villa is for sale at Akumal Investments!